The nature of Krishna’s spiritual pastimes is such that every step is a dance, every word is a song and every action has multiple layers of meanings in it. Glorious are poets like Śrī Harisūri who reveal to us these immensely deep meanings even in those activities of the Lord that may appear to have no deeper meaning. The Śrīmad-bhāgavatam (Canto 10, Chapter 7) describes how Krishna was an infant and how he started rising up and turning around on his back at the age of three months. When Mother Yashoda saw this, she immediately arranged for a festival with the help of all the ladies of Vrindavan. In verse number (10.7.5), the Bhāgavatam describes how Mother Yashoda bathed baby Krishna on that day and then received all the guests beginning with the brāhmaṇas. 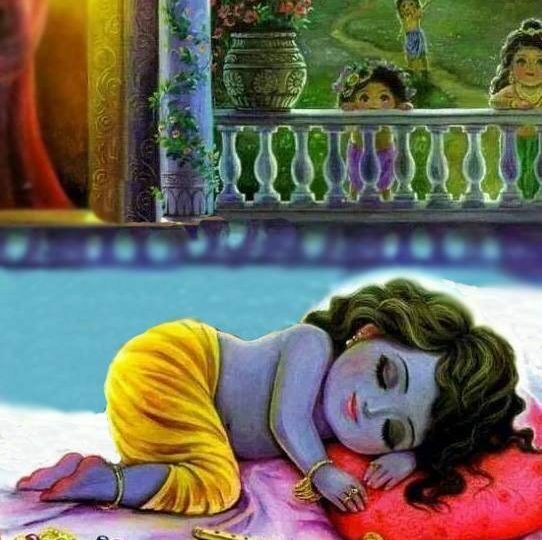 All these guests brought many wonderful gifts for Krishna, but the transcendental autocrat that he is, he decided to pretend to fall asleep at that very moment and almost closed his eyes. Thus, in order to determine the true intention of the guests, the Lord partially closed his eyes, as if he was sleeping. — Bhakti-rasāyanam of Harisūri on Śrīmad-bhāgavatam (10.7.5). Translation by Hari Parshad Das. PS: In other words, a truly affectionate person will express affection even if their beloved is sleeping. Others who have come just for the sake of formality will notice the sleeping person and will use it as an excuse to not express any feelings. 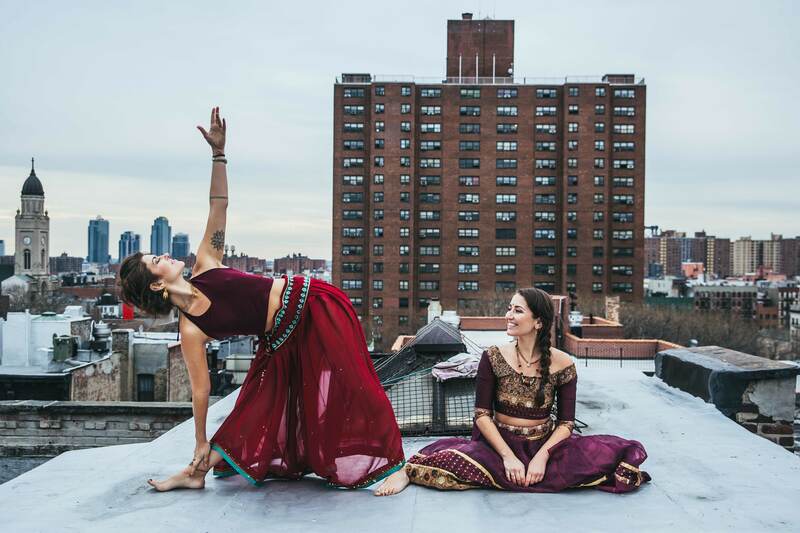 Urban Devi is a community of women who gather to explore and excavate their identities as urban women living the spiritual life. An urban devi is in the world, but not of the world. She acts in the world to uplift, and shift the consciousness of those around her to a higher place of Bhakti, or love in action. © 2019 Urban Devi. All rights reserved.